Home › Leadership › Do I feel comfortable writing about being a parent in the workforce? Do I feel comfortable writing about being a parent in the workforce? I wish I could say that writing about being a parent in the workforce was risk free for me from both a career and personal perspective. But it’s not. Just about one year ago, I went on an an interview for a position at a start up in San Francisco. Things started off well, but when asked to talk about consumer brands I admire that have effectively utilized technology to grow, I answered honestly with “The Honest Company.” The Honest Company is a company founded by mom and actress Jessica Alba. The interviewer agreed with my viewpoint and then he wanted to know how I knew so much about this company and their products – and without thinking, I answered “Oh, because I use them for my children.” Dead silence followed. My mother once gave me some great advice on the matter and it still holds true: “Anyone worth working for would know that you accomplished all you have with children so far, so why would they think you wouldn’t continue to do so?” As hard as it is for me to re-live that interview experience, I want to share it with all of you. If it’s happened to you – you’re not the only one. And if it hasn’t – don’t be ignorant of this bias. Don’t ever let your guard down in the interview process, but if you get the job, think long and hard on if you want it. So – why do I do it? Why do I put my thoughts and my voice out there for all of you to read even though it may make it harder for me to get my next job or even advance in my current position? Well, with the proliferation of social media, it’s getting harder and harder to keep our personal lives 100% private. And one way or the other, someone is going to find out if you have children – they can if they want to dig hard enough. Not all of us have significant workplace influence, financial means, or the “right spouse”. 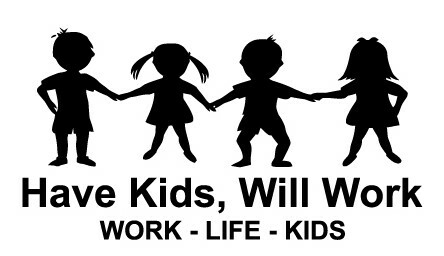 Many of us are trying to figure out how to drive our careers and be there for our children. We don’t feel ok with having someone else raise our children, and we don’t feel ok with letting go of our career potential. While we can relate to the stories of senior executive women, we can’t apply their learnings directly – and in most cases, what worked for them won’t work for us. Sadly, some of these women by virtue (or misfortune) of their own personal circumstances, didn’t find the need to juggle careers and motherhood until later in their lives, until they had accumulated significant wealth and influence, or had a significant other that was willing to scale back so they could move ahead at full speed. The risks they take are different than the risks we take. The way we evaluate everything is different. And while I find it hard to believe they didn’t struggle with these challenges the way we do, very little is shared or talked about in reference to it. I write about what I write about because we are the new revolutionaries. We’re forging new paths; we’re trying to make it work from a spot in in the middle. We’re not senior executives (we may never be), and many of us are not influential enough or in places where corporate culture will accept us changing our jobs to work for us. We’re not sure where we’re going, or how we will get there. We have enough to be comfortable, but we know that every day will be difficult. Sometimes unbearably so. I write to give us a voice. And perhaps it’s good I feel uncomfortable, or even scared. Because I hope the voice I’m sharing is not just mine, but all of ours – and I hope that collectively, it’s going to make a difference.